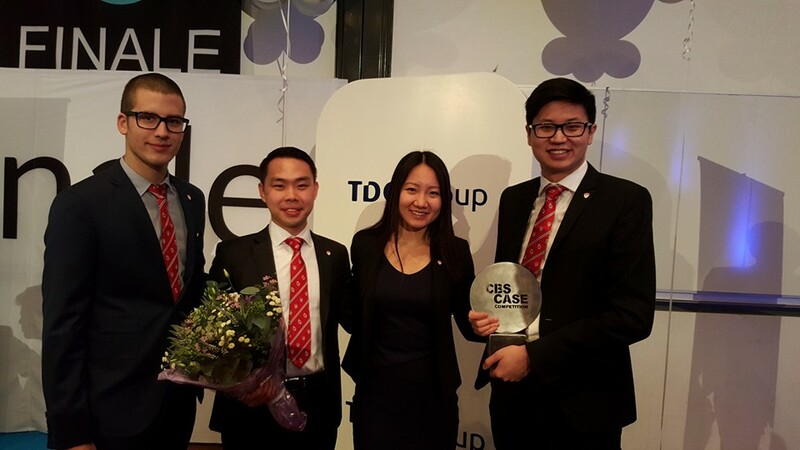 A Desautels undergraduate student case team composed of Jordan Bonneville, Wendelina Lai, Joshua Phoon and Luohan Wei made the finals at the 15th annual Copenhagen Business School Case Competition (CBS CC) held on February 29 to March 5, 2016. Twelve top business schools from all over the world were represented. The Desautels team made it to the finals by winning their group division composed of University of Belgrade, UC Berkley and University of South Carolina. In the finals, Desautels went up against the University of New South Wales and the National University of Singapore who were the eventual winners. The case was on The TDC Group, the largest mobile provider in Denmark. The team had taken the "Case Analysis and Presentation" class taught by Professor Richard Donovan, who also served as their coach. A special thanks to Heather McCombie who accompanied the team to Copenhagen. Congratulations to Jordan, Wendy, Joshua and Luohan for their great performance!